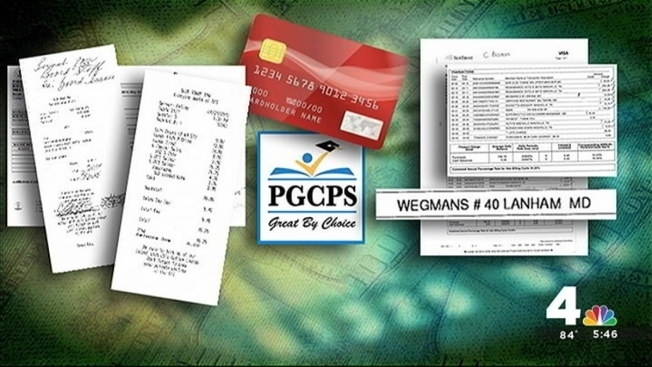 Some members of the Prince George’s County School Board continued using taxpayer-funded credit cards for months after voting to eliminate those cards, according to an investigation by the News4 I-Team. After a 2014 News4 I-Team review found board members used credit cards for thousands of dollars of meal and hotel expenses within close range of their offices, the board voted unanimously to end its credit card program in January. But the I-Team’s review of 2015 board receipts and expenses showed at least two board members continued to make local meal purchases with those credit cards through April. Several of those purchases were made by Board member Carolyn Boston, who formally introduced the credit card ban at a board meeting in January. Boston is also one of a handful of board members who purchased thousands of dollars in meals in 2014, including room service breakfast and seafood meals at restaurants within minutes of the board’s offices. Her 2015 expenses included more restaurant meals in Prince George’s County in the weeks after the vote. She also swiped her board credit card for a dinner at Ruth’s Chris Steak House during an education conference in Tennessee. The I-Team also obtained credit card expense receipts from Board member Patricia Eubanks, showing a series of meal expenses in Prince George’s County after the Jan. 22 vote. The meals include a $90 lunch meeting at a Joe’s Crab Shack with two guests. School Board president Segun Eubanks said, in the days after the vote, the board chose to delay the cancellation of its credit cards until April 1. “We needed to have some leeway to complete the process,” Eubanks said. “It was never our intent to be disingenuous or hide anything from the public.” The April 1 deadline was made part of the public record, school officials said. The deadline was not publicly specified at either the January or February school board meetings in which the credit card policy was official approved. Under the new expense policy, board members will pay meal and lodging expenses out-of-pocket, then seek reimbursement from the district. Board president Eubanks said the newly crafted policy will limit board members to four taxpayer-funded meals per month.